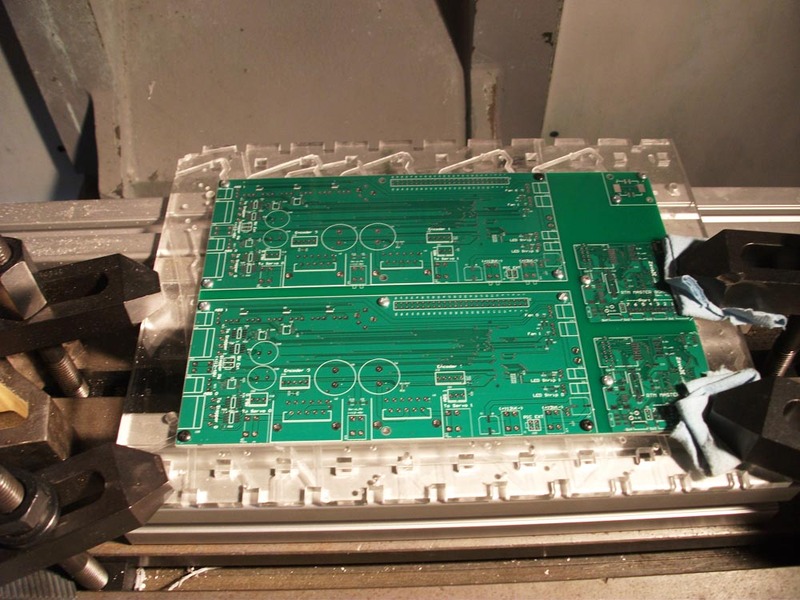 Save money on PCB fab and how to cut the board apart with CNC mill (or table saw, press drill). 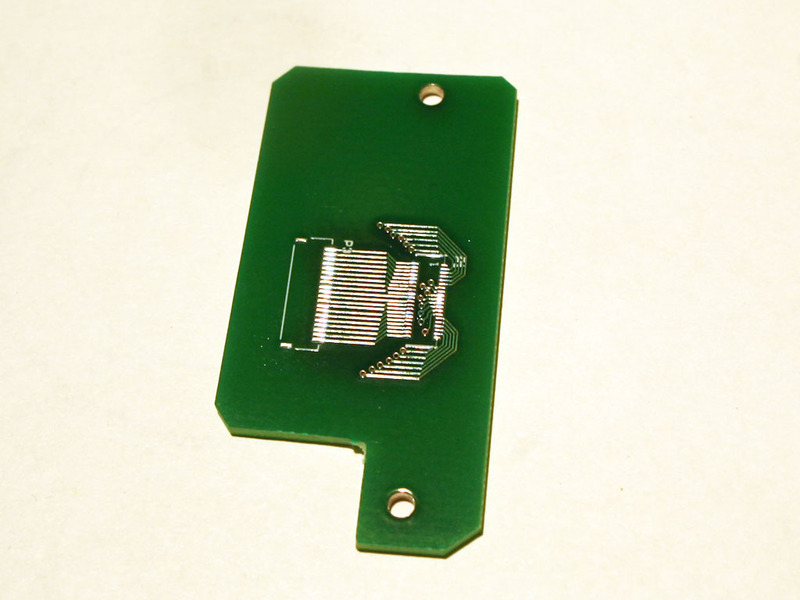 For lab geeks or hobbyist who often sends out small quantity PCB fab orders but doesn’t care about a little bit extra work, this post will help save a decent amount of money on PCB manufacture cost by putting multiple design images on a single board. PCB fab houses usually charge a fixed amount of money per order with no regard to what is actually on the design file such as Gerber. 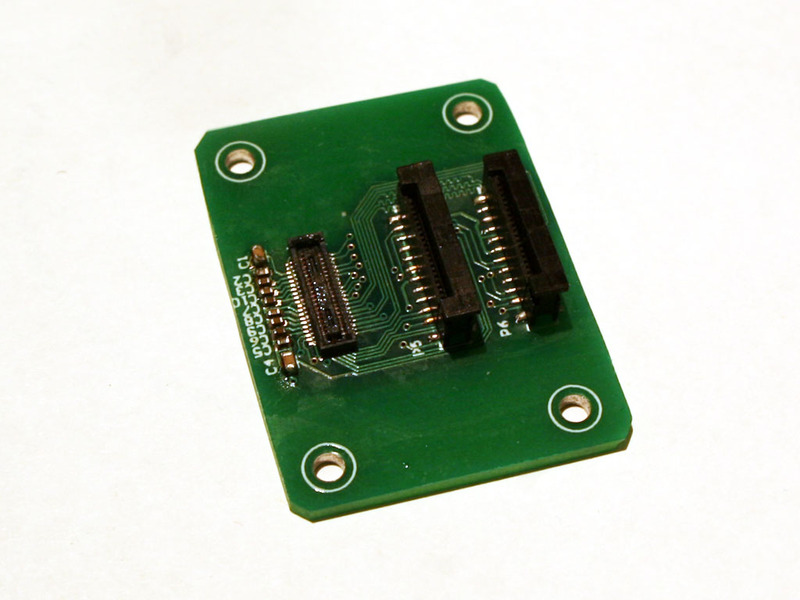 This produces a money-saving opportunity by putting more than one design images (sometimes is also called “array”) on a single board file , and you will only be charged by just “one” order. Some PCB houses doesn’t allow this kind of thing by explicitly saying “No array allowed”. For those don’t care about this, this is actually a win-win situation because the PCB house wins your deal with no extra manufacture cost, and you save money! 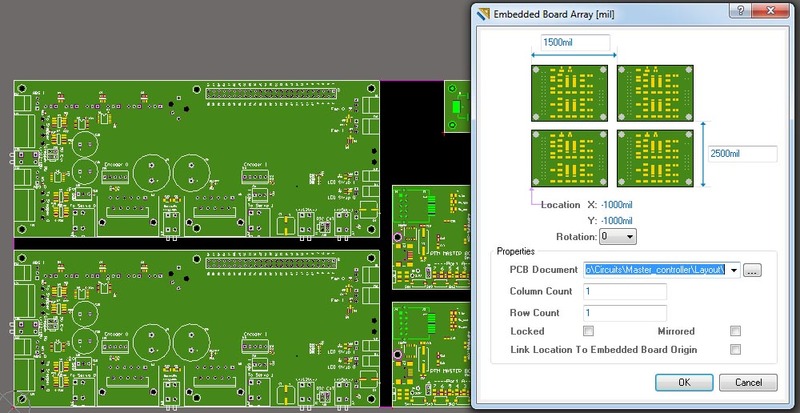 If you are an Altium Desinger user, putting multiple images on a PCB design file is fairly easy. First of all, you need to have all your sub design files ready. Then, create an empty PCB and go to menu -> Place – > Embedde Board Array/Panelize. Shown in the snapshot below, you will be asked for the location of each sub design files, the size of the grid and the distance between each image. You must leave sufficient space between each images for the cutting tool to eat through. I would recommend 1/8″ ~ 1/4″ for safety, otherwise, the cutting tools are getting close enough to damage your traces. After a couple days of anxious waiting, you receive the finished boards from the awesome PCB house, which only charged you only single order of money! 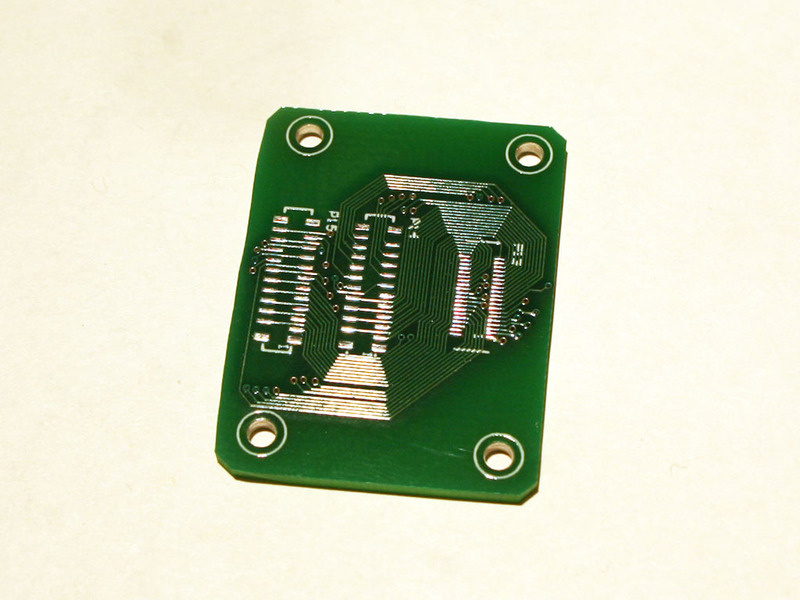 I actually never tried a press drill to mill apart the PCB board. But based on the experience from the CNC machine, I would assume that a press drill should produce pretty high accuracy if it comes with a compound table. 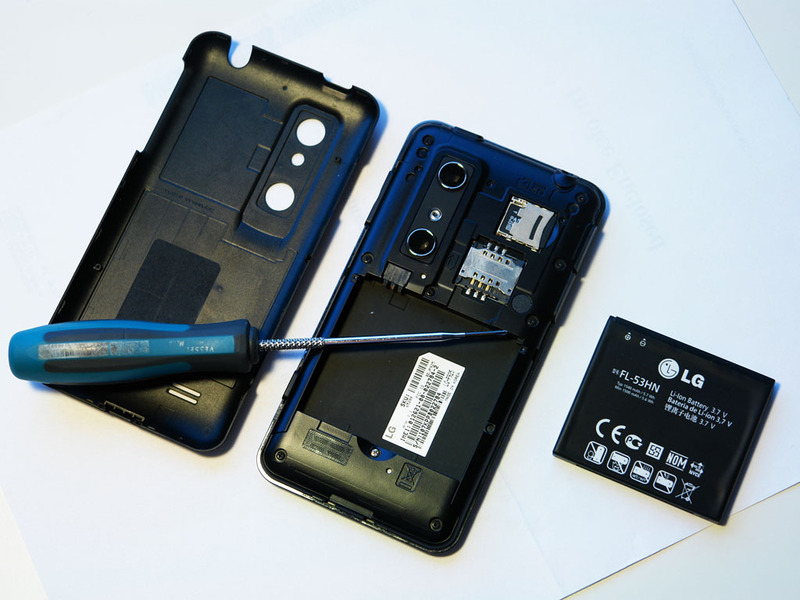 This is a quite interesting project which requires digging out the 3D stereo camera module from the LG thrill P925 smart phone and driving it somewhere outside the smart phone. What…? Sounds like put your eye balls miles away and… you are still able to see through them! 7. 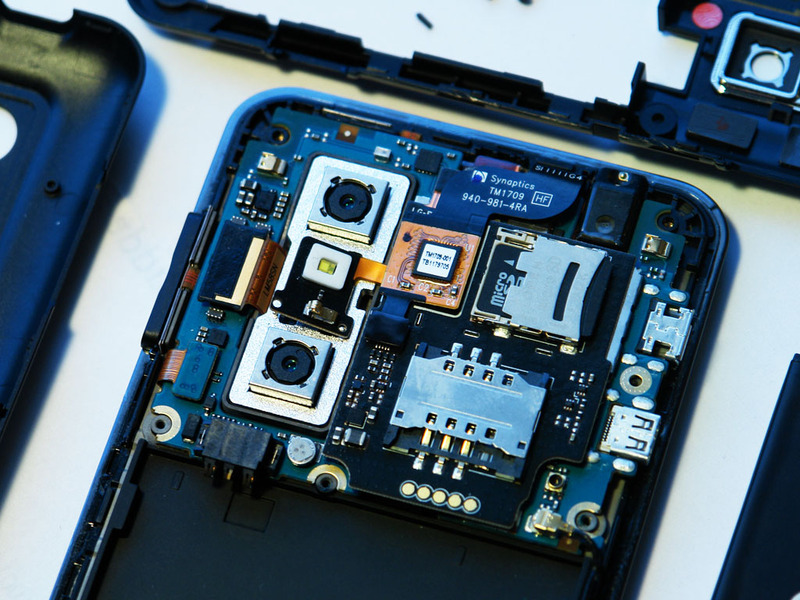 Pull out the camera module from its bed. This requires some efforts as the module is taped on its bottom and the outline fits the bed pretty tight. 9. Now I am facing the real challenge: how to make a cable with the connectors that mate with the ones on the phone mother board and the camera module. 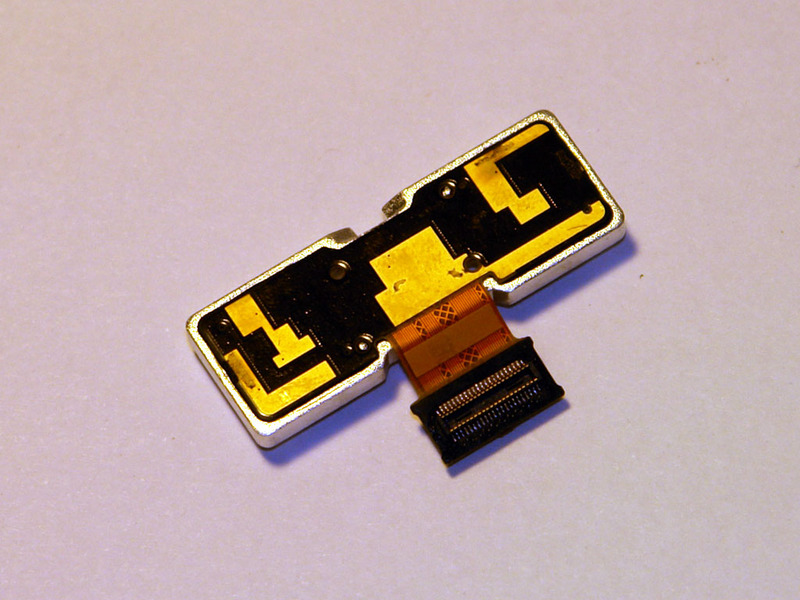 With some measurements, it is not difficult to find out that it’s a 40-pin, 0.4mm-pitch connector. If Digikey or some components distributor would carry the same products, things would be much easier. Unfortunately they don’t. I ordered all the available 40-pin, 0.4mm-pitch connectors but none of them fit the cell phone. 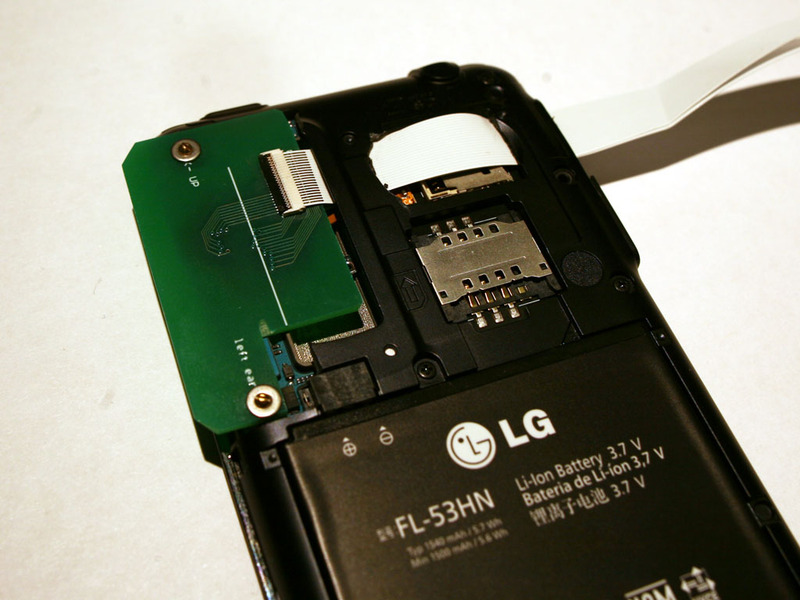 After talking to the LG phone repair shop, I finally figured out its connector is “GB042-40S-H10-E3000” from LG. Apparently, this component is not that easy to get hold of. 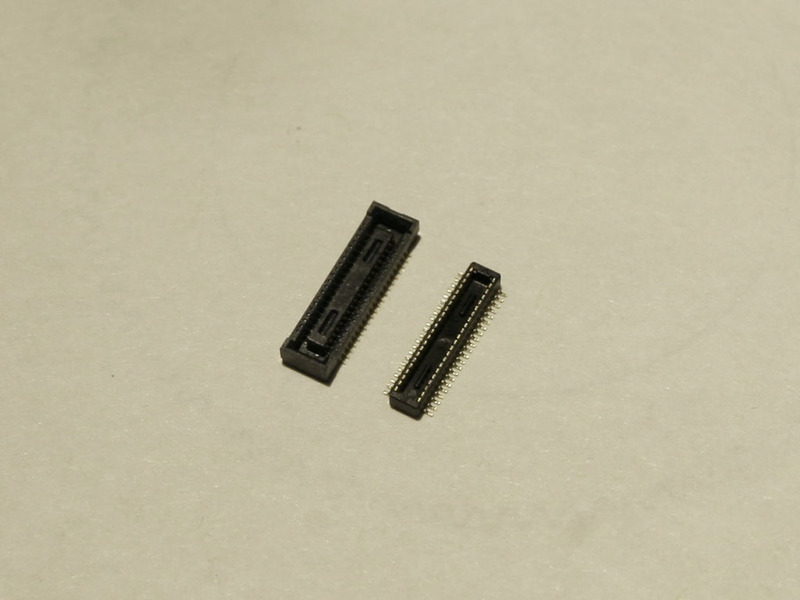 Since it is almost impossible to buy the mating connectors, the next possible approach is to replace the original connectors with the ones available from Digikey. So I ordered several pairs of the connectors “DF40C-40DP-0.4V(51)” and “DF40C-40DS-0.4V(51)” from Digikey. 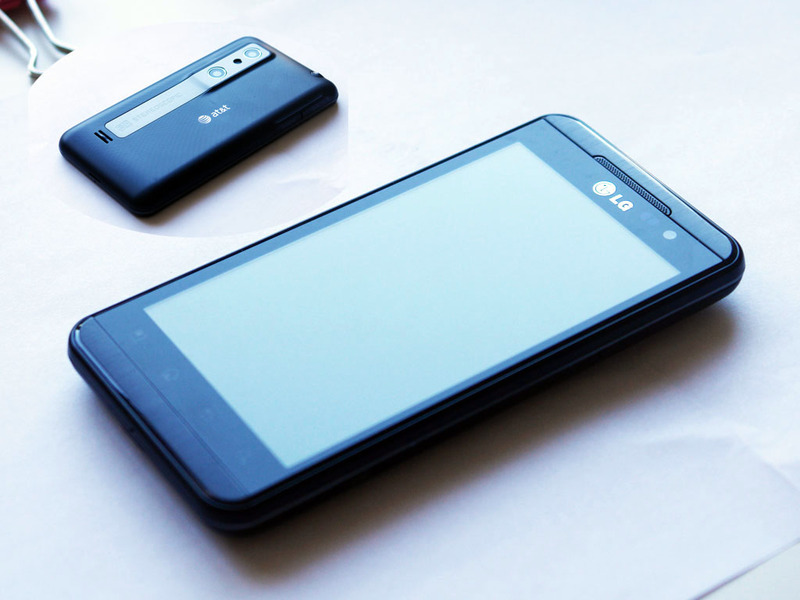 Both are manufactured by Hirose. 11. 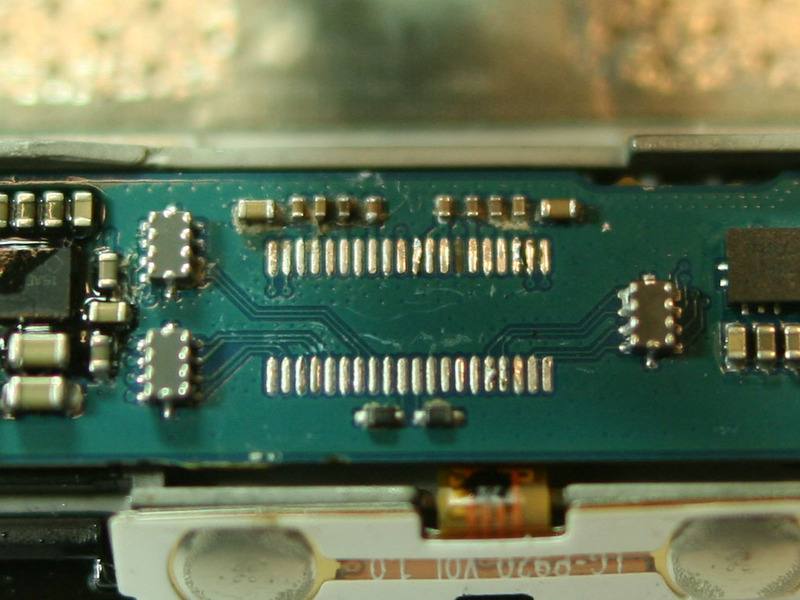 A closer look at the solder pad. Although I was doing this with extreme care, I still mistakenly wiped out one pad. I was just lucky as I later on figured out that this pin is for ground so it was fixable by jumping a wire to some nearby ground. 13. 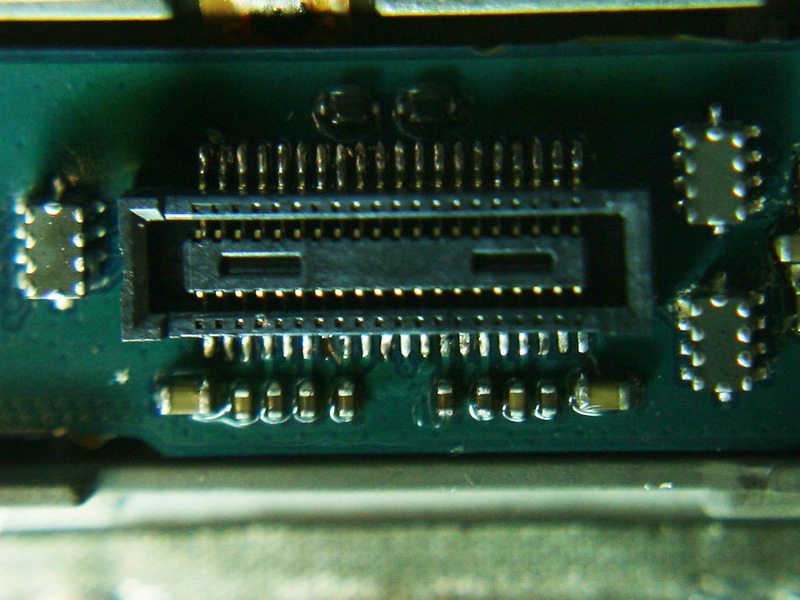 Now the mother board has a new connector, so should the camera module. 14.When both sides have been upgraded with the new connectors, a function test should be carried out before I move on to the cable part. 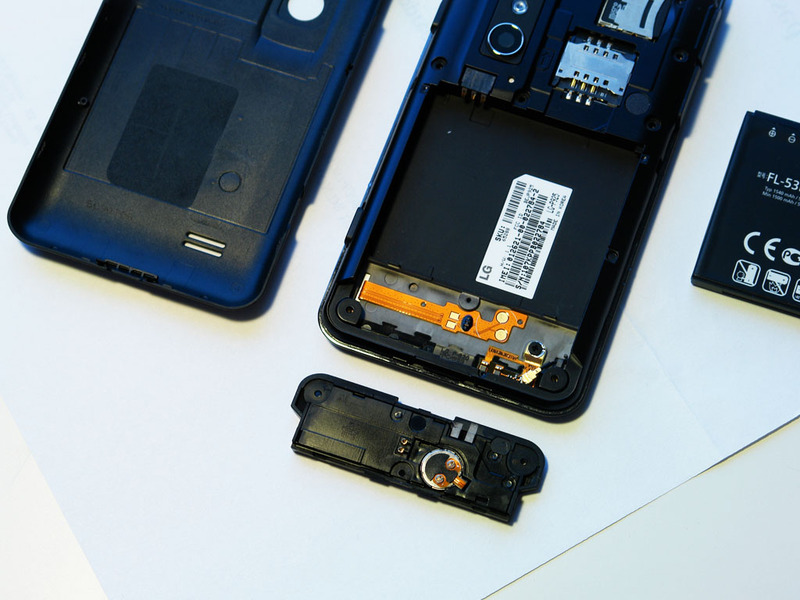 Simply plug in the camera module back into the new socket and turn on the cell phone. 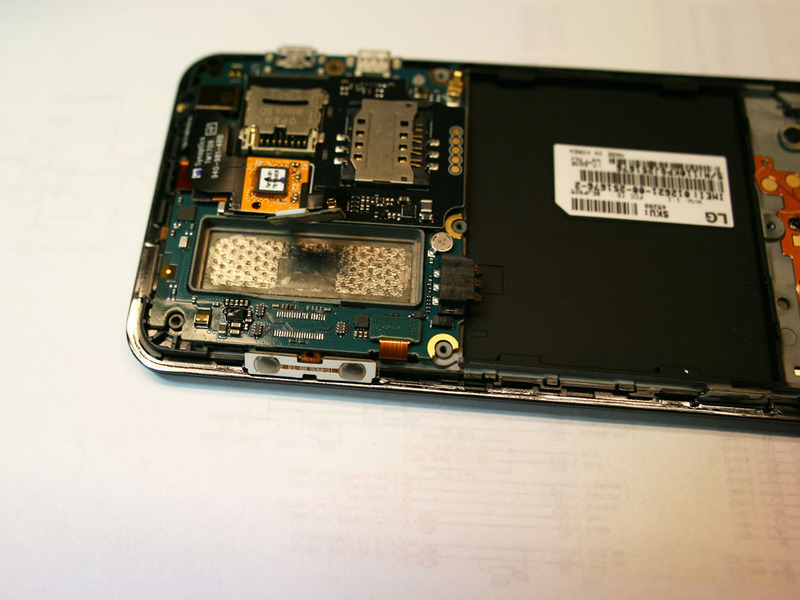 Make sure everything still works after the replacement procedure. Next step towards the final “extension” goal is to literally make the extension cable. 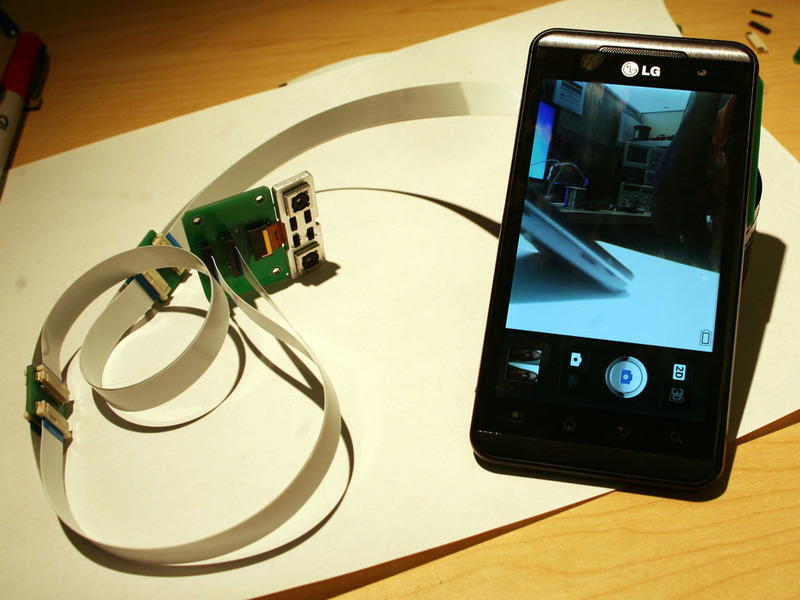 The FPC cable tailing on the camera module would be an ideal solution for the extension, but the cost is going to be an issue. 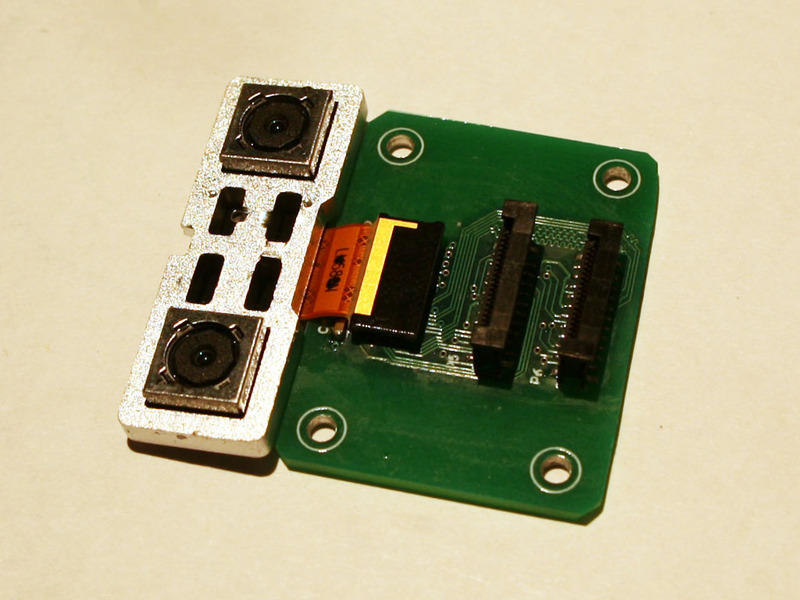 For this prototype, I decided to make low cost circuit boards as the adapter. 16. 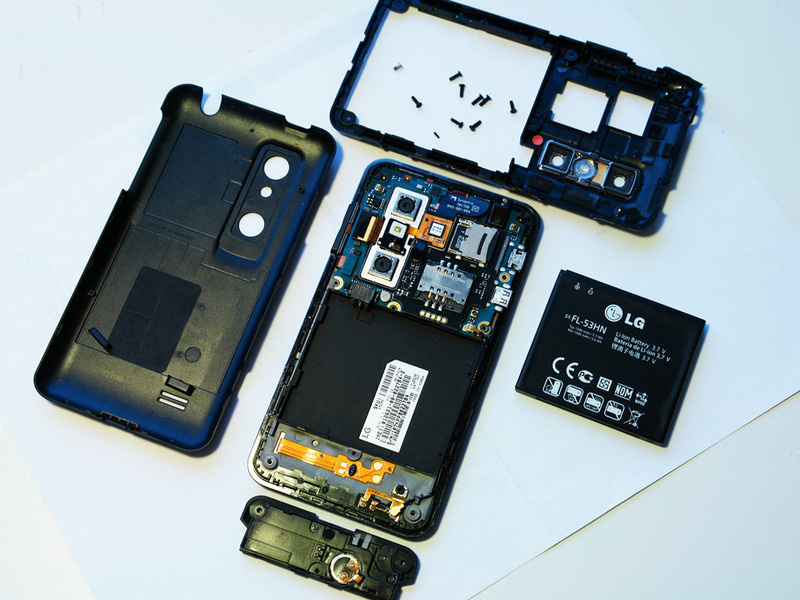 After the adapter is finished, plug into the mother board and tighten the screws to the phone body. Since the PCB is little big, I had to trim off the inner plastic frame to make it fit. White cables are 0.5mm-pitch, 20-conductor FPC jumper ordered from Arrow. 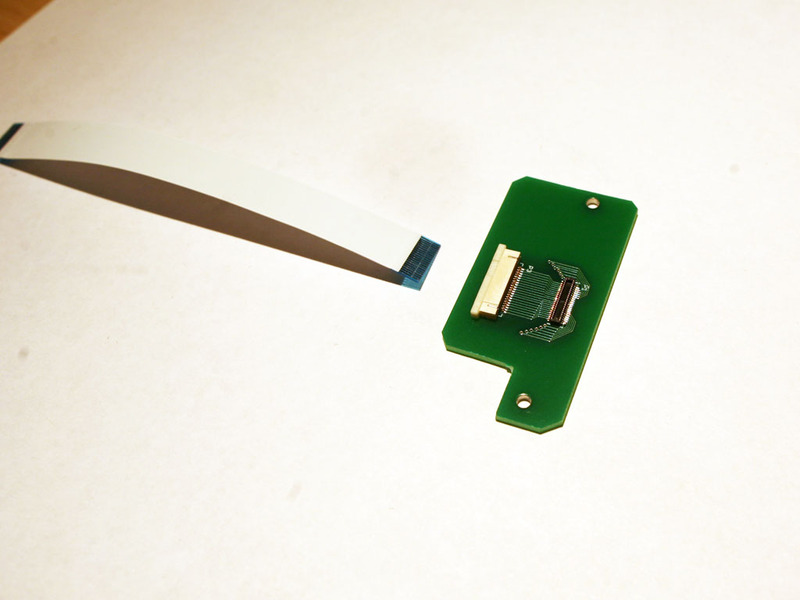 FPC BackFlip™, Easy-On™ connectors are from Digikey. 17. 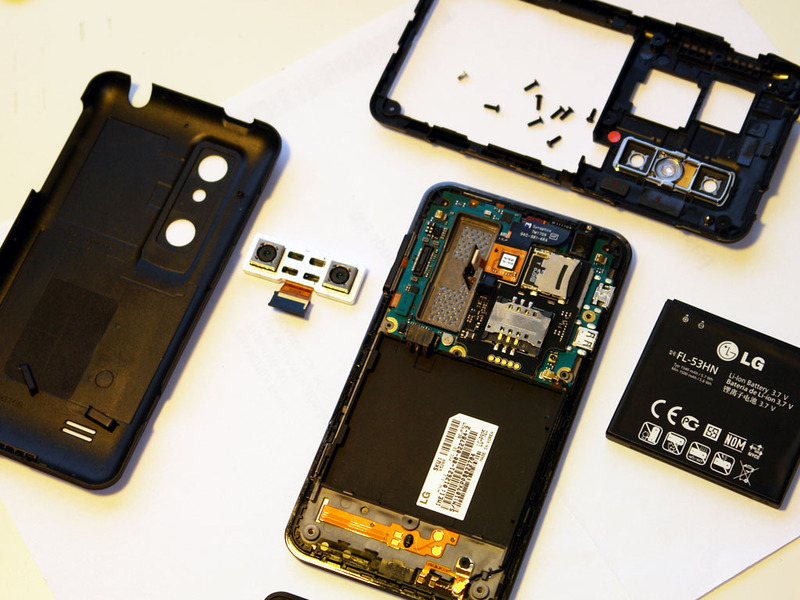 Then finish the camera-side adapter. 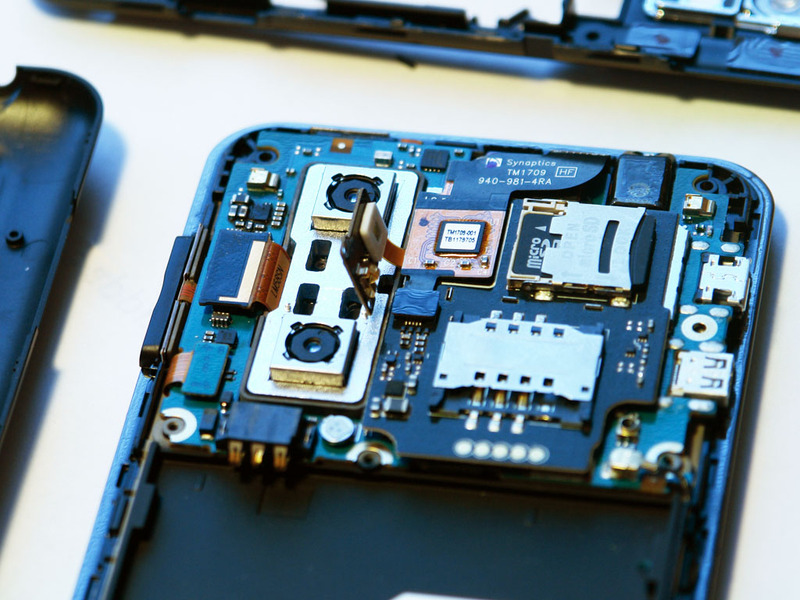 The vertical FPC connectors are from Digikey. 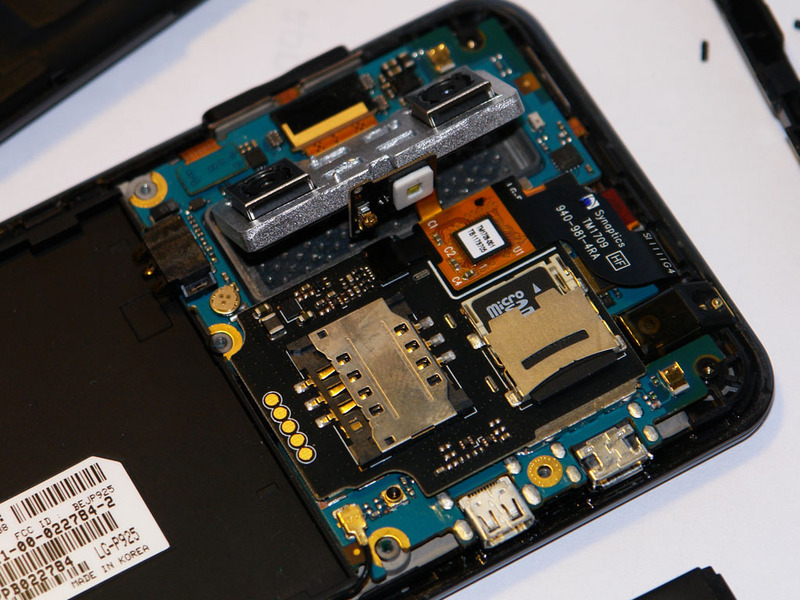 As shown on the left side of the picture below, there are a series of bypass capacitors being mounted close to the camera connector. These bypass capacitors are critical for the extension to work since the camera module is a high-speed digital device requiring large current to switch between logic low and high at high frequency. Bypass capacitors work as energy storage to supply the surging current and avoid voltage drop, which will cause the device failure. 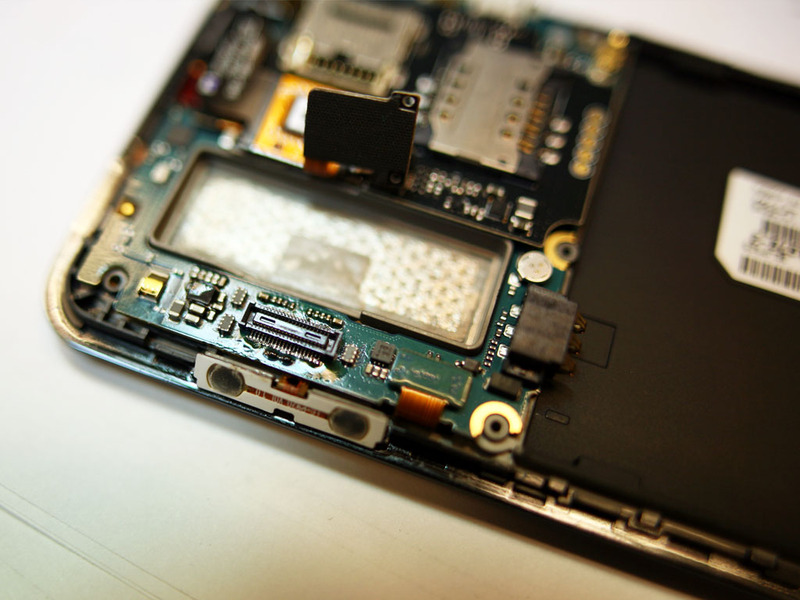 When the camera module is extended away from the mother board, it also leaves its “energy storage” on the mother board. So some local bypass capacitors are required on the adapter board. 18. Everything is ready for the final assembly. Make sure cables are connected tightly and turn on the phone. 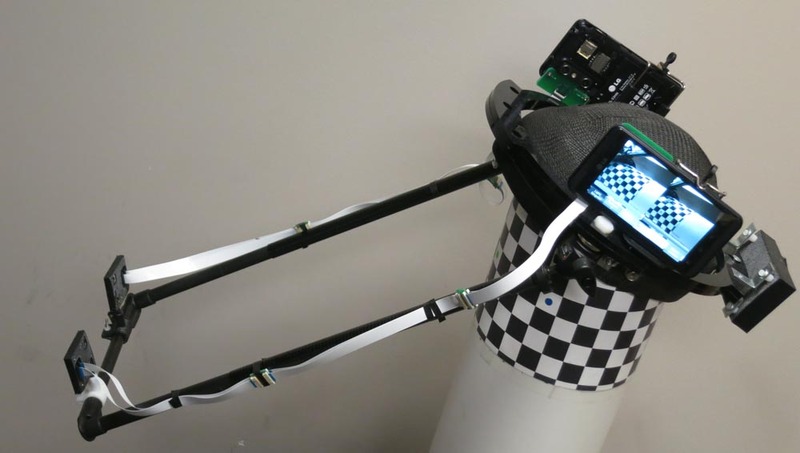 The camera module is working outside the body now!